formerly SA Industrial Services – different name, same great service. Exiis is a proudly Australian owned and operated business which has been providing innovative solutions to clients’ industrial cleaning needs for over 20 years. Fully insured with highly trained staff and specialised equipment, we offer a broad range of services 24/7 to improve the health and efficiency of clients’ work sites across Australia. 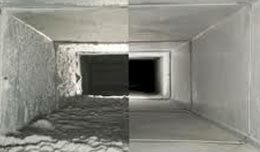 Duct cleaning is essential to many businesses ranging from large factories to retail shops, food outlets and offices as it can affect the wellbeing, productivity and health of staff members. All relevant cleaning is SA Water trade waste compliant. Food safety extends to your kitchens, kitchen equipment and disposal of garbage. 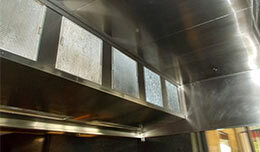 We clean the following equipment and areas to ensure that your kitchen will always meet current HACCP standards. 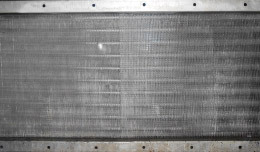 Air Handling units are inaccessible to standard cleaning procedures and require regular maintenance to ensure your air conditioner is running at its optimum efficiency. Our cleaning process is simple, cost efficient and complies with all Australian, HACCP and other relevant Standards. Exiis specialises in the remediation, cleaning and purification of all types of industrial and commercial installations. Scheduled services are available 24 hours a day, seven days a week, allowing jobs to be completed with minimum disruption to a client’s business, staff and customers. Utilizing the latest equipment and methods, Exiis has the solution to suit your needs. Projects range widely and include HVAC supply and return systems, cooking exhaust systems, machinery exhaust and extract systems, laundry exhaust systems, toilet exhaust systems and the like. We also offer comprehensive pressure, industrial and medical cleaning and remediation services along with waste removal to meet specific client needs. If it needs cleaning, call us to discuss your requirements. Our highly trained staff can help tailor a remediation maintenance schedule to meet your requirements. Our staff are on hand to work in with you and the hours that suit your business, minimising down time so that you can get on with what is important.